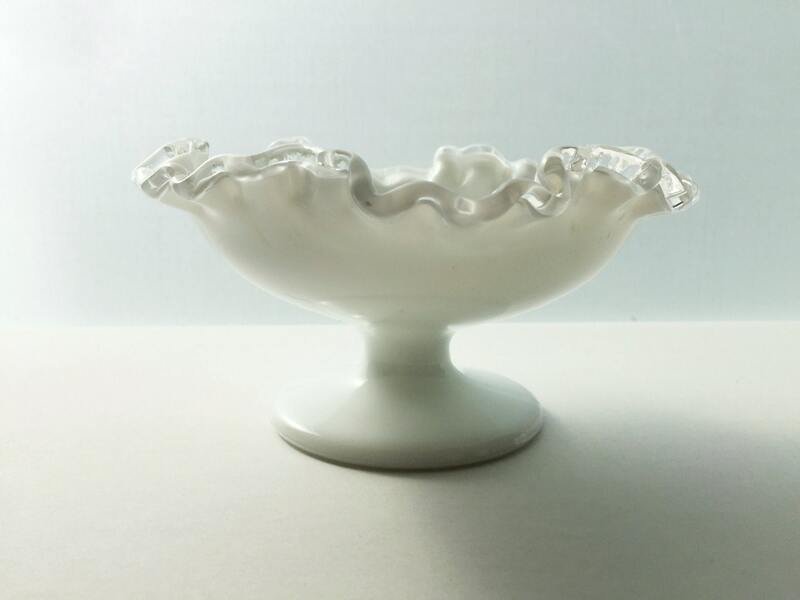 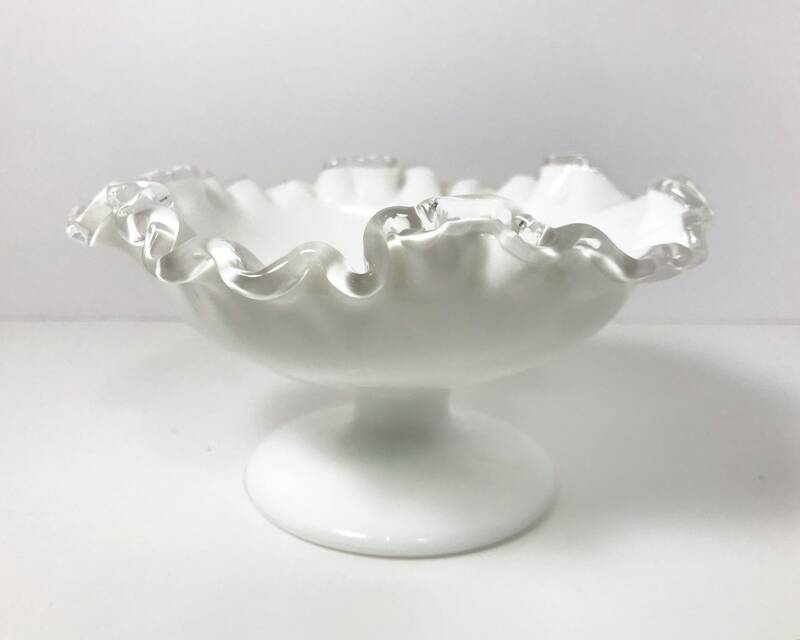 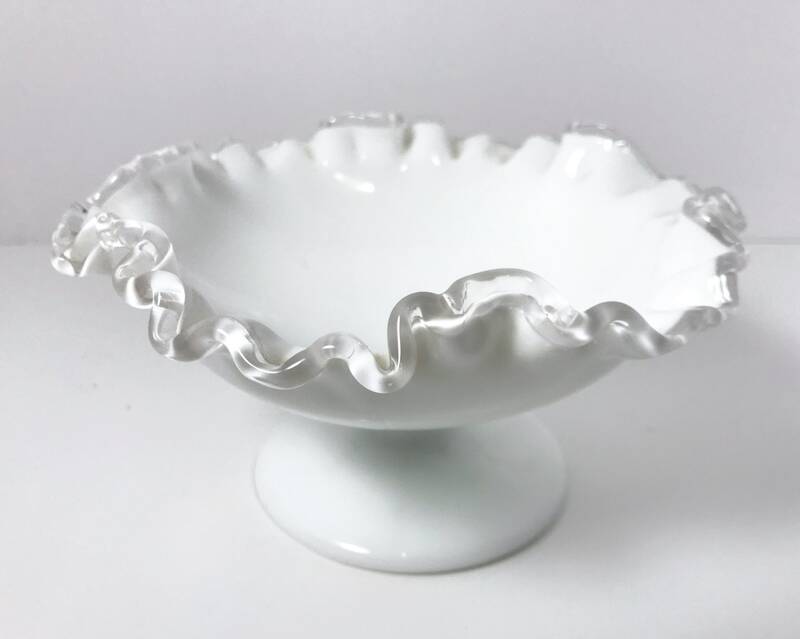 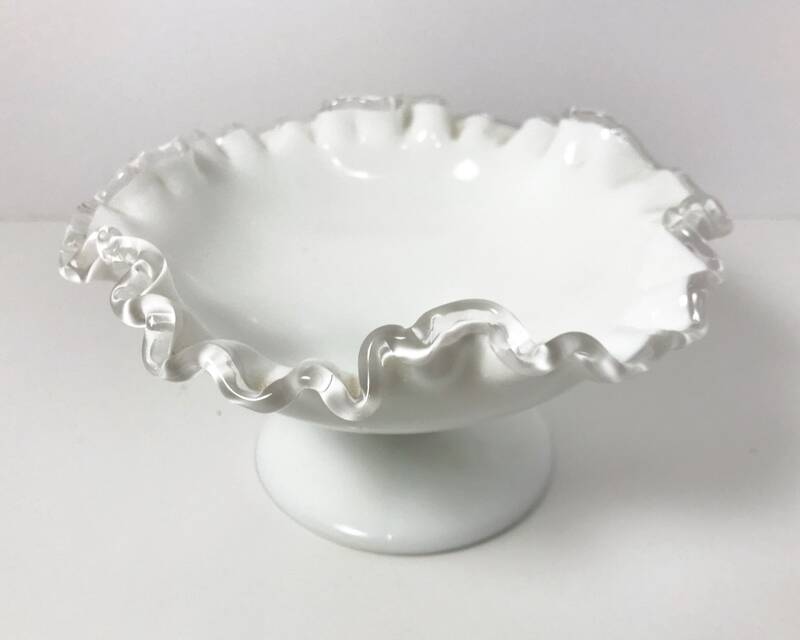 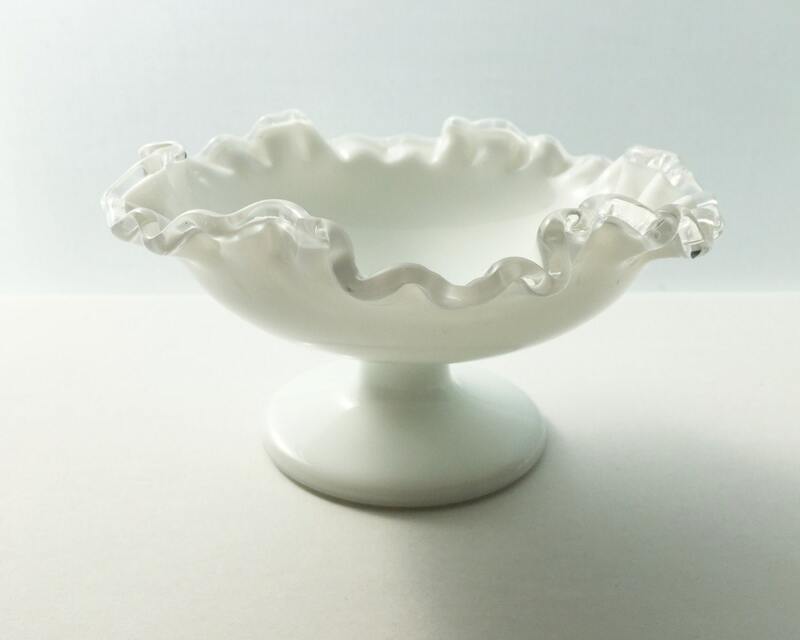 Lovely pristine vintage Fenton Silver Crest Milk Glass Compote - post-seventies Fenton Art Glass (it has the Fenton mark on the base which they did not start using until the seventies) pedestal bowl in great condition. 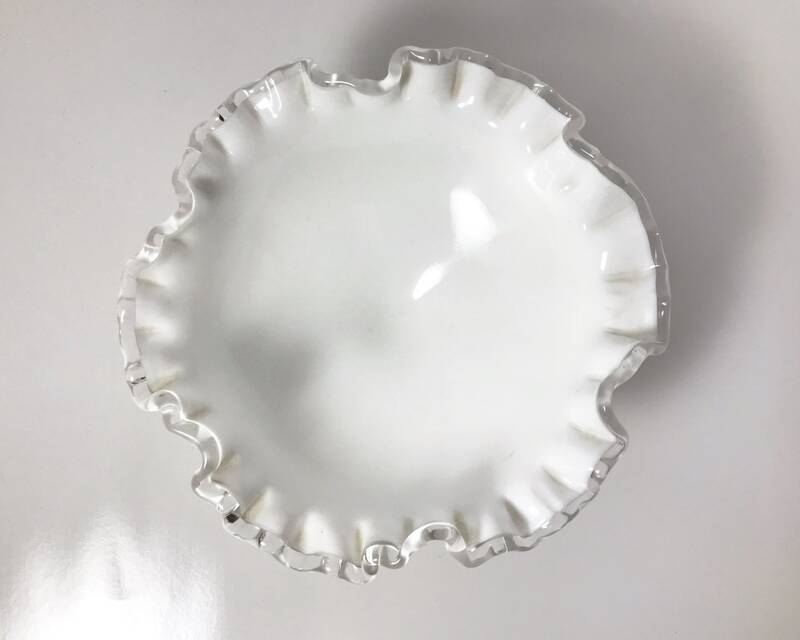 Silvercrest is their milk glass pattern where the glass ruffles are edged with crystal clear glass - very elegant, and perfect for wedding decor. 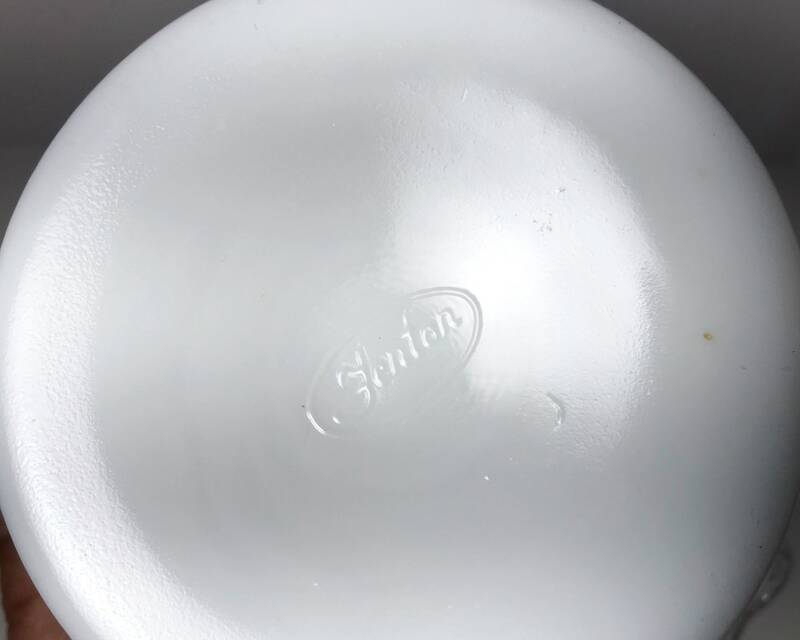 CONDITION: No chips or scratches, and beautiful milky white. 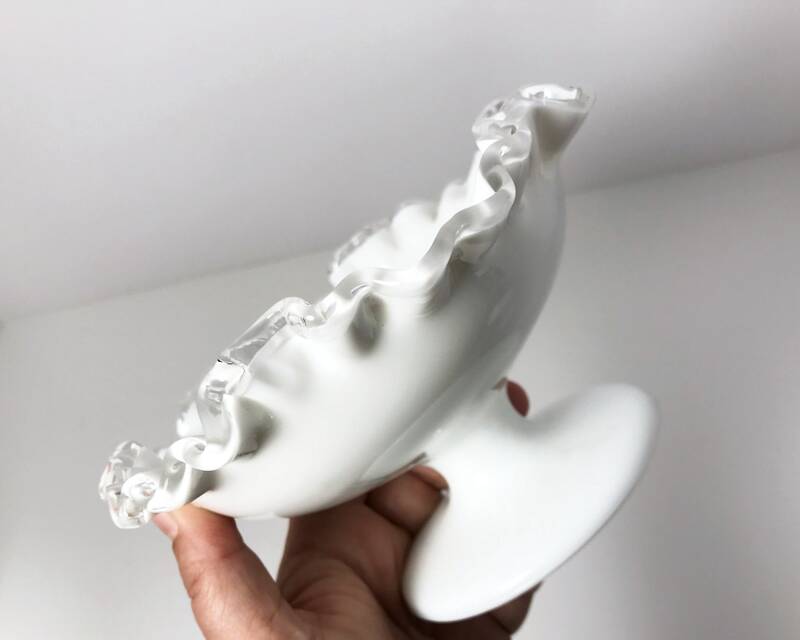 Small imperfections as normal for this kind of glass. 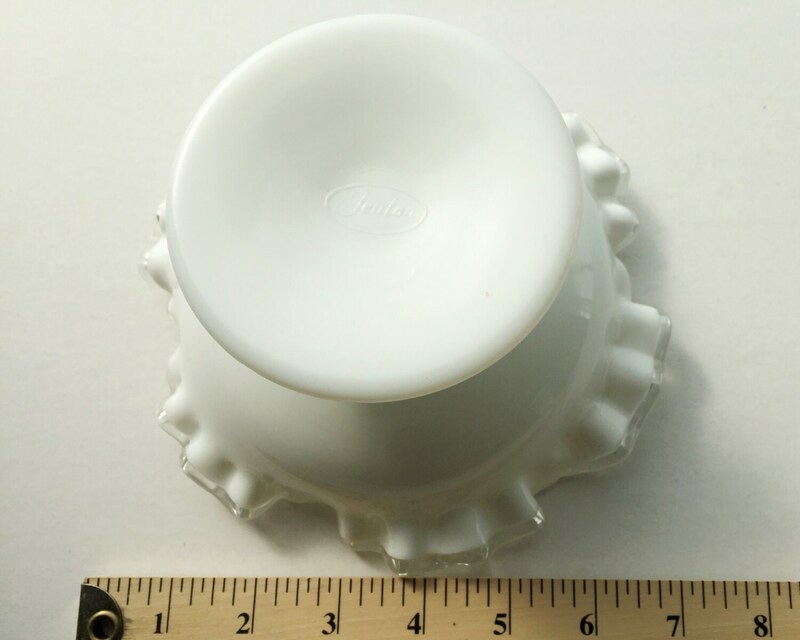 SIZE: 7 inches across, and 4 inches tall.